Yoga mats are not all created equal. Some come with small craters beneath the surface of the mat just waiting to breakdown after a little use. These mats often feel flimsy and don’t provide a lot of traction. However, some yoga mats such as the prAna E.C.O. provide utmost durability and reliability when doing yoga. The prAna E.C.O. yoga mat is one of the most popular yoga mats used by yogis across the globe. The company takes pride in the fact that the manufacturing process of the yoga mat is devoid of any toxic byproducts and emissions making it eco-friendly, thus the E.C.O. name. But what else makes the prAna E.C.O. so special? Comfort is one of the key features of a yoga mat. But that would be put to waste when it is destroyed easily with just a couple of uses. This is why durability is one of the most important factors for any yoga mat. Produced from PVC and constructed with the thermoplastic elastomer, the prAna E.C.O. 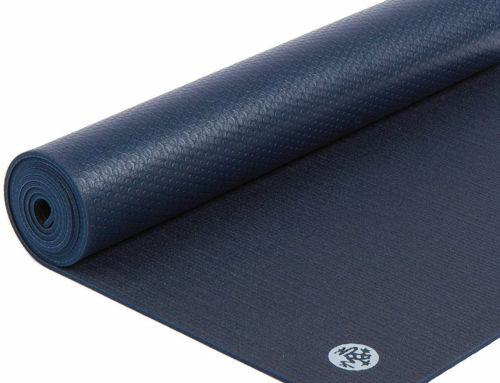 is durable yet affordable compared to other yoga mats because of the materials being used. TPE is UV resistant thus rest assured that the yoga mat will not degrade or fade its color when being exposed in the sun. Do you like doing outdoor yoga? The prAna E.C.O. is a worthwhile companion for these kinds of sessions. 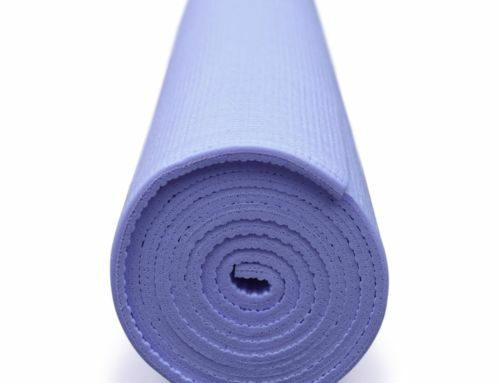 The yoga mat is also free of chloride and latex which makes it recyclable. 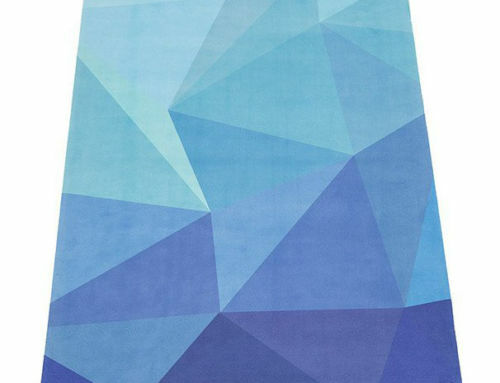 Unlike other yoga mats, when the prAna E.C.O. has already met its finale, you can use it for other uses instead of just taking additional space on a landfill. You don’t want to invest in countless yoga mats all throughout the year, instead, you want to buy one that will last a couple of years. With this mat, you get a year’s worth of use and even more. When it comes to comfort, the prAna E.C.O. ultimately delivers. When you want to talk about comfort in regards to yoga mats, you need to highlight the yoga mat’s thickness as well as stability. Thick mats provide more padding and thus better comfort when used. When you are doing planks, your elbows need the extra support from the yoga mat. Without proper cushioning, you might suffer from sore elbows or joints. The optimal thickness of yoga mats is 5mm. The prAna E.C.O. achieves this thickness without being too bulky. Thanks to the material being used, the prAna E.C.O. does not don the extra weight and thickness to provide better comfort and support to your joints. Stability is not also much of an issue with the prAna E.C.O. You can enjoy doing yoga poses without the worry of slipping or falling. Another factor you must consider in any yoga mat is its traction. It goes without saying that yoga can be hazardous. With all the flexible poses, you need to execute, you are vulnerable to slips and false. Aside from this, all the sweat you excrete in the process makes it even more difficult. With that being said, you need a yoga mat that provides excellent traction. The prAna E.C.O. boasts a raised design that provides better stability. The TPE and PVC used by the yoga mat provide just the right amount of smoothness to allow efficient transition from one pose to another. However, the company also made sure that the yoga mat has enough grip to stick on the floor surface to keep you safe despite the mat is wet. The prAna E.C.O. prioritizes safety for its users. Both surfaces of this mat come with textured surfaces to provide excellent grip of any surface. The prAna E.C.O. is strategically priced compared to other yoga mats in the market. It tends to land somewhere between those mats that don’t last long and never provide enough support and some of our top favorite yoga mats on the market. Our review would not be complete without shedding an unbiased light on the downsides of the product. While the E.C.O. is close to perfect, there are some areas that needed some improvement. One of the biggest caveats of the prAna E.C.O. is its breathability. Because of the construction, the prAna E.C.O. is not as breathable as other yoga mats made of foam. As a result, using the prAna E.C.O. can be hot after a couple of minutes. So if you cannot tolerate hot temperatures on a yoga mat, you might want to consider other yoga mat options.